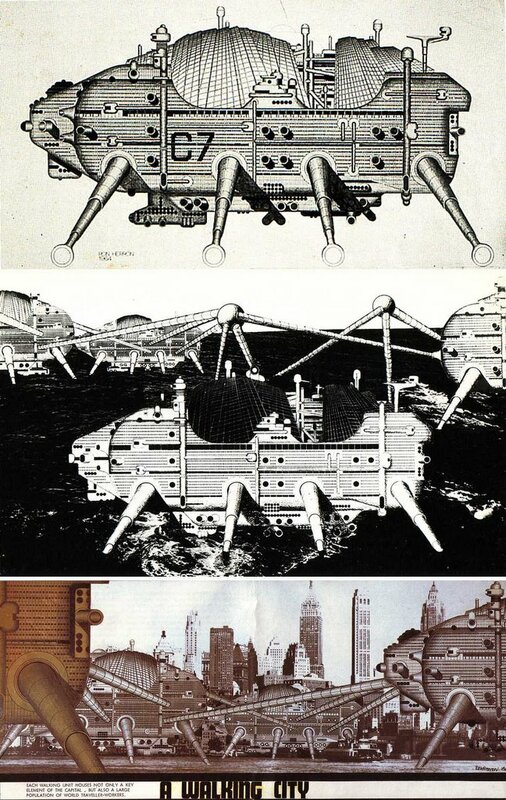 [Image: Ron Herron of Archigram's Walking City]. 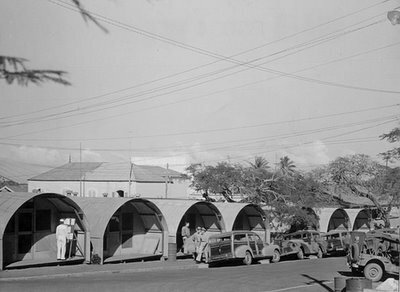 [Image: The Quonset hut, an easily transported modular shelter that immediately found extensive military use]. A BLDGBLOG-Archinect-AFGTMU trifecta. I'm practically catatonic from so many awesome posts.